Dileep malayalam actor profile and biography is given here. The versatile actor Dileep is primarily known for his roles in the films such as Kathaavasheshan, Kunjikoonan, and Maanathe Kottaram. He also did the roles of a comedian and a superhero in some of his movies. This article sheds a glimpse of light on the life and works of this great artist. Dileep is a versatile actor who has handled a variety of roles in Malayalam movie industry. He has also tested his skills in the field of movie direction under the careful guidance of the ace director Kamal. This versatile actor came to the movie field through the stage shows where he featured himself as a mimicry artist. The real game changer for him in the Malayalam movie industry was his acting in a movie Maanathe Kottaram in the year 1994. Through this film, the directors, artists and other people in the movie industry came to know about his acting skills. Since then, Dileep never looked back and acted in a large number of films in the industry. Later he ventured into the field of movie production with the making of the film C.I.D Moosa in 2003. This film was produced under the banner Grand Production. Another film produced by him is Kathavasheshan. This film bagged the price of the Second Best Film in the year 2004. So far, he acted in more than 100 Malayalam movies. 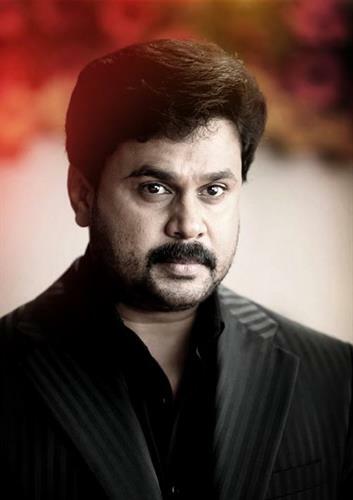 Dileep was born on October 27, 1968 in a place called Aluva in the Ernakulam district of the Central Kerala. His parents were Padmanabhan Pillai and Sarojam. The original name of the actor is Gopalakrishnan Padmanabhan Pillai. He had his formal education from the V.V.B.H.S. High School in Aluva. Later, Dileep did his pre-degree course from the Aluva U.C. College in the third group. Continuing in the same field, he completed his Bachelor's degree in Arts (B.A.) from the famous Maharaja's College in Ernakulam. During his college days, he took the mimicry art form seriously and started to perform on stages. Once in connection with the Onam festival, Dileep rendered his voice in a comedy album Da Maveli Kombathu. In this album, he featured along with his friends Nadir Shah and Abi. This album was an instant hit in the market. In 1998, Dileep got married to Manju Warrier who is an accomplished actor and dancer herself. They have a daughter from their marriage. Her name is Meenakshi. Since the marriage, Manju Warrier had taken a break from acting and concentrated more on her family life. Of late, she decided to come back to the celebrity space. As a result of this, she started to give dancing presentations at various venues. Recently, she even acted in an advertisement showcasing the product of Malabhar Gold. Since he took interest in the mimicry art form, Dileep decided to join the Cochin Kalabhavan, which provided a platform for the budding artists of the state to showcase their talents. While working with Cochin Kalabhavan, he got a chance to take part in a comedy show Comicola. This program was broadcasted by Asianet. His works on the comedy album and the comedy show were accidentally noticed by the Movie Director Kamal. Kamal decided to give an opportunity to this budding artist to prove his skills. Thus, Dileep started to work as an Assistant Director under him. Kamal was magnanimous enough to provide few minor roles for Dileep to showcase his acting talent. Dileep acted perfectly in Kamal's film Ennodu Ishtam Koodamo. Kamal got impressed with the budding actor's acting skills. Because of this, Kamal started to suggest Dileep's name to other directors whenever he came across them. In the beginning, Dileep got only minor roles in Malayalam movies. With the release of the Sunil-directed film Maanathe Kottaram in 2004, Dileep came to be reckoned as an accomplished actor in the Malayalam movie industry. After the release of this movie, the actor got his screen name Dileep. Some of the films in which he got the minor roles include Sainyam, Sindoora Rekha, Ulladakkom, Ee Puzhayum Kadannu, Sallapam, Thooval Kottaram, Sudhinam, etc. Other films where Dileep did the supporting roles include Varnapakittu, Meenathil Thalikettu, Megham, and Punjabi House. Dileep could get the attention of the Malayalam movie directors only after 2000. Hence, the films in which he did the title roles have only come after that year. The movies in which he did the major roles are Mr. Butler, Darling Darling, Thenkasipattanam, Jokker, Ee Parakkum Thalika, Ishtam, Kunjikoonan, and Mazhathullikilukkam. For his acting in Kunjikoonan, Dileep got the Special Jury Award in 2003. Other films in which he did the major role are Meesa Madhavan, C.I.D. Moosa, Kathavasheshan, Thilakkam, Chaandupottu, and Vettom. Again, he got the Special Jury Award for his performance in Chaandupottu. Dileep donned the role of a super hero in the films such as Runway, Kochirajavu, Chess, Don and Lion. The gifted actor also acted in other movies such as Crazy Gopalan, Passenger, Moss and Cat, Colors, and Swantham Lekhakan. After 2010, he acted in movies such as Malarvadi Arts Club, Paappi Apacha, Kaaryasthan, Bodyguard, China Town, Christian Brothers, Marykkundoru Kunjadu, Orma Maathram, Vellaripraavinte Changathi, etc. The movie Bodyguard was subsequently dubbed in other languages for its mass appeal. For the first time, Dileep got the Best Actor Award for his performance in Vellaripraavinte Changathi. Since his entry into the film world doing minor roles in Malayalam movies, Dileep never looked back. Many projects came in search of him. After 2000, he started to do major roles in many movies. Some of them really stood out from others. Following are the movies that fetched him coveted awards for his performances in them. Kerala State Film Awards: Dileep got the best actor award for his stellar performance in Vellaripraavinte Chengathi. The award for the best film producer came to him when he made a film by the name Kathavasheshan. He received the Special Jury Awards for his performances in the movies Kunjikoonan and Chaandupottu. Kerala Film Critics Association Award: The gifted actor received this award three times in his film career. Twice for his title roles in Kathavasheshan and Kunjikoonan. He received this award for the third time for his supporting role in Joker. Mathrubhumi Film Awards: Dileep received the Most Popular Award for his performances in movies such as Paappi Appacha, Marykkundoru Kunjadu, Kaaryasthan and Joker. He also received the Best Actor Award for his role in Kunjikoonan. Asianet Film Awards: Dileep received the Most Popular Actor Award for his performances in Bodyguard, Marykkundoru Kunjadu, Paappi Appacha and Kaaryasthan. He bagged the award for the producer of the best movie when he produced the movie Twenty20. His title role in Kunjikoonan fetched him the Best Actor Award as well. Other Awards: He received the Filmfare Award for his acting in Meesa Madhavan. He also received the Kalakeralam Award for his acting in Orma Maathram. Other awards received by him include Amritha Film Award, P. Bhaskaran Award, Jaihind TV Filmfare Award, etc. These awards were given to him for his performances in some of the blockbuster movies. Dileep is a versatile actor from the Central Kerala. He came into the film world through his association with Cochin Kalabhavan. While working for Cochin Kalabhavan, he appeared in a comedy program by the name Comicola. The ace director Kamal happened to see the program. He gave Dileep the much needed break in the Malayalam film world. He started acting in small roles initially. Later, the renowned movie directors decided to give him title roles in their films. For his performances in films, he received many awards. Primarily, he was awarded for his astounding performances in some blockbuster movies in Malayalam movie industry.